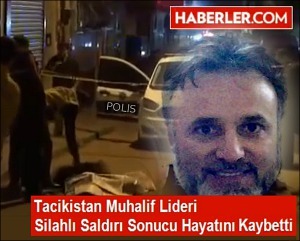 The killing of Tajik oppositionist Umarali Kuvvatov in Istanbul, Turkey, appears to be an extreme end of political terror against the opponents of the ruling regime in Tajikistan. Obviously Dushanbe will scramble to steer clear of the murder, claiming the late Mr. Kuvvatov’s death does not benefit the authorities there because it would actually be to its detriment. They have an example in Moscow to follow in this regard—the Kremlin made a similar statement after the late Mr. Nemtsov’s assassination a week ago. While there are no serious contemplations about business dealings among the motives of killing in Mr. Nemtsov’s case, the Tajik interior ministry was quick to raise such affairs already. Indeed, business associations can be dangerous but the Tajik authorities threw this motive on the table somewhat prematurely: the move is awkward, if not suspicious. Mr. Kuvvatov, just like any other vocal opponents of the regime, was afraid of in Dushanbe. The late leader of the Gruppa 24 was not the first Tajik opposition whose life was attempted on. In January 2012, Dodojon Atovulloyev was almost killed in Moscow, Russia, who survived thanks to a timely surgical assistance. Because he was no longer safe in Russia, he was forced to emigrate to Europe. The late Kuvvatov followed suit but was clearly less lucky in Istanbul. While still alive, he openly challenged the Tajik regime and some of his actions were difficult to explain sometimes. Apparently that was one of the causes of his death in Istanbul and incarceration of his supporters in Tajikistan. On March 4, Umedjon Salikhov was sentenced to 17 years and six months for alleged affiliation with the Gruppa 24 opposition group the late Kuvvatov led. The Tajik court found the group to be “extremist”; hence Mr. Salikhov’s imprisonment for “extremism.” The main evidence for his alleged crimes was reposting texts authored by Messrs. Kuvvatov and Atovulloyev on his social media pages. However, the court found “public insults” of head of the Tajik state was an even more dangerous crime the defendant committed on social media websites. 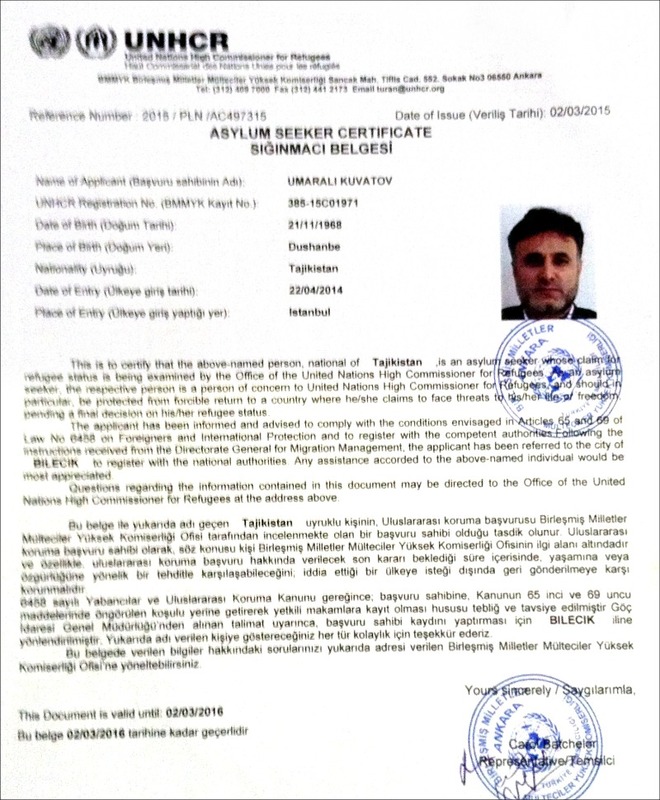 Mr. Umarali Kuvvatov was granted the asylum seeker status by the UNHCR in Turkey on March 2. 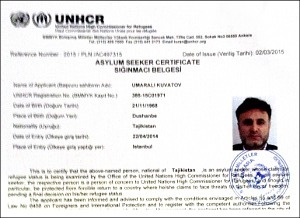 Legally, Mr. Kuvvatov was under the official patronage of the UNHCR until March 2016. Clearly these events look like attempts to scare opposition on the part of the authorities. The moves will certainly have the intended impact initially, but how long can they prove effective? After all, this was precisely the goal Dushanbe was pursuing when the astonishingly unexpected parliamentary elections outcomes eliminated the Islamic Renaissance Party (IRP) from the political life in Tajikistan. The IRP is the only party in entire CIS territory that was established by a faith group and had only two seats in the Tajik parliament. The political establishment in Dushanbe rushed with explanations that the party’s fiasco stemmed from its loss of popularity in society largely due to threats the Islamic State in Iraq and Levant (ISIL) is posing at this time. That said, not a single however remotely credible research or study was administered in Tajikistan, whose population mainly adheres by the traditional Sufi branch of Islam, and certainly harbors no radical attitudes, which allegedly are causing disappointment in religion among the Tajik voters. In turn, the humiliated and insulted Tajik supporters of Islamic traditions may respond to the state oppression by joining radical trends. Such precedents often exist in those countries, where opportunities to display the population’s discontentedness are very limited. This, in its turn, brings about the marginalization of “disagreement energy” and promotes real—not imaginary—threat to the country’s stability. To be sure, the IRP used to serve as a “safety fuse” in Tajikistan in this regard. There were some statements made claiming that offensive against even moderate Islamists in the Tajik governance system may have been a condition Tashkent advanced as a precursor of mending the Uzbek-Tajik ties. Pro-government sources in Tajikistan have been repeatedly hinting lately that such a “thaw” should be expected after the parliamentary elections. To top it all off, Uzbek President Islam Karimov congratulated his Tajik counterpart with the successful parliamentary elections on March 1. Meanwhile, not only Tajik authorities, ruling quarter a century, are experiencing fear: the Kremlin is not exactly enjoying life either. 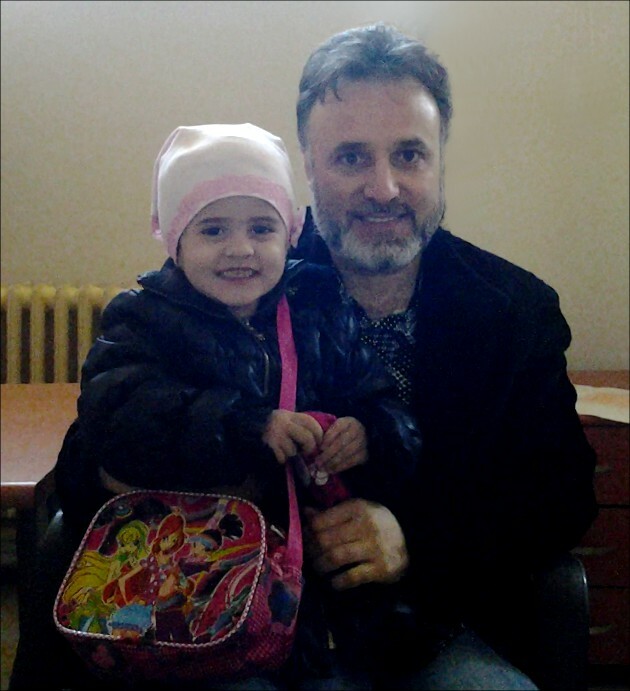 Perhaps the Russian authorities do not yet practice such a brutal oppression of the discontented, as their Tajik peers apparently do, and hands down no such horribly long incarceration terms lasting 15-20-25 years. However, given the assassination of Boris Nemtsov such a relatively “vegetarian” taste of the regime in Russia may be changing. The boundary, once perceived insurmountable, has been transgressed. Coming back to the investigation into the Kuvvatov assassination in Istanbul, there are better chances it will be uncovered unlike the demonstrative shooting of Boris Nemtsov near the Kremlin vicinity. The Turkish authorities would seem to be the most unwilling party to have shadows of doubt cast upon them.